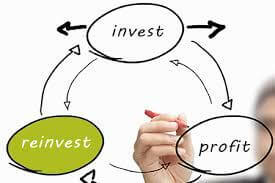 How many of you reinvest in your business? Sure, you’ll buy new vehicles, production assets, computers and furniture; because that’s easy to see a Return on Investment (ROI). But how many of you invest in your human capital? That’s a politically correct way to say “Employees”. Do you encourage and provide financial assistance for higher education? Do you encourage continuing education, whether on-line or at industry events? Or maybe you provide in-house training. But what value is the company deriving directly from the cost of training your employees? In other terms, if you send a person to graduate school and they receive an MBA; does the company benefit directly? Or are you just enabling that person to say “thank you company; by the way, I’m tendering my resignation because I can’t use my new found skill sets here, and my new company is providing me that opportunity”. So the question isn’t should we reinvest, but what is the wisest way to reinvest in our human capital so we the company gain the full benefit of the investment (never loosing site that the employee is gaining as much or more on the equation). What is the direct take-a-way for the company of educational opportunities? Can we utilize those new skill sets that we are empowering our employee with, and not only retain the employee, but provide job enhancements where the employee can grow with our company, not another. Next Post: Do you really want to exclude quality candidates from C-Level jobs just because they weren’t in your sub-niche? What are you doing to protect your most valuable mission critical resources from being compromised? Even in times of oversupply, paying a realistic wage makes good business sense.